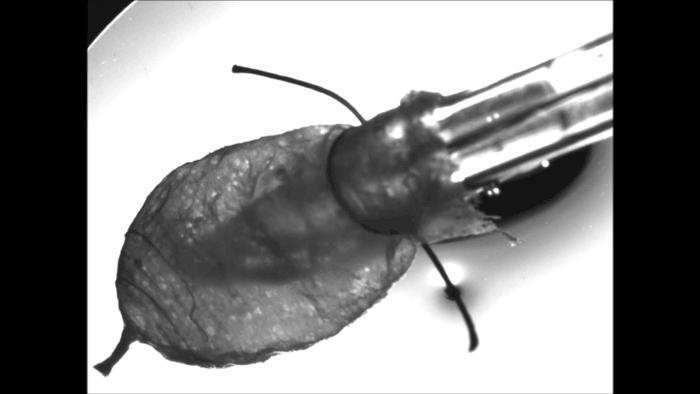 The tissue is engineered with a nanofiber scaffold seeded with human heart cells. The scaffold acts like a 3-D template, guiding the cells and their assembly into ventricle chambers that beat in vitro. This allows researchers to study heart function using many of the same tools used in the clinic, including pressure-volume loops and ultrasound. "Our group has spent a decade plus working up to the goal of building a whole heart and this is an important step towards that goal," said Kit Parker, the Tarr Family Professor of Bioengineering and Applied Physics at the Harvard John A. Paulson School of Engineering and Applied Sciences and senior author of the study. "The applications, from regenerative cardiovascular medicine to its use as an in vitro model for drug discovery, are wide and varied." The research was a collaboration between SEAS, Wyss, Boston Children's Hospital and the Harvard Stem Cell Institute (HSCI). "The long-term objective of this project is to replace or supplement animal models with human models and especially patient-specific human models," said Luke MacQueen, first author of the study and postdoctoral fellow at SEAS and Wyss. "In the future, patient stem cells could be collected and used to build tissue models that replicate some of the features of their whole organ." "An exciting door is opened to make more physiological models of actual patient diseases," said William Pu, the Director of Basic and Translational Cardiovascular Research at Boston Children's Hospital, a Professor of Pediatrics at Harvard Medical School, Principal Faculty member of HSCI and co-author of the paper. "Those models share not only the patient mutations, but all of the genetic background of the patient." The key to building a functional ventricle is recreating the tissue's unique structure. 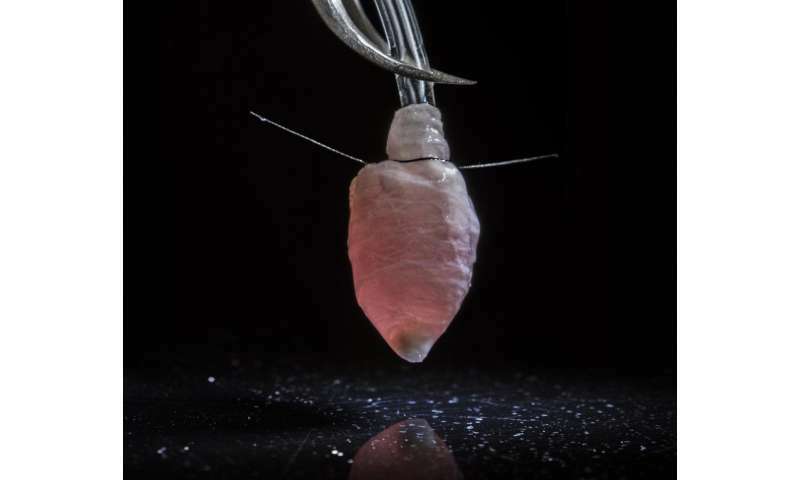 In native hearts, parallel myocardial fibers act as a scaffold, guiding brick-shaped heart cells to align and assemble end-to-end, forming a hollow, cone-shaped structure. When the heart beats, the cells expand and contract like an accordion. To recreate that scaffold, the researchers used a nanofiber production platform known as pull spinning, developed in Parker's Disease Biophysics Group. Pull spinning uses a high-speed rotating bristle that dips into a polymer reservoir and pulls a droplet from the solution into a jet. The fiber travels in a spiral trajectory and solidifies before detaching from the bristle and moving toward a collector. "It is important to recapitulate the structure of the natural muscle to obtain ventricles that function like their natural counterparts," said MacQueen. "When the fibers are aligned, the cells will be aligned, which means they will conduct and contract the way that native cells do." Using human cardiomyocytes from induced stem cells, the researchers were able to culture the ventricles for 6 months and measure stable pressure-volume loops. "The fact that we can study this ventricle over long periods of time is really good news for studying the progression of diseases in patients as well as drug therapies that take a while to act," said MacQueen. "We started by learning how to build cardiac myocytes, then cardiac tissues, then muscular pumps in the form of marine organism mimics, and now a ventricle," said Parker. "Along the way we have elucidated some of the fundamental design laws of muscular pumps and developed ideas about how to fix the heart when these laws are broken by disease. We have a long way to go to build a four-chamber heart but our progress is accelerating."